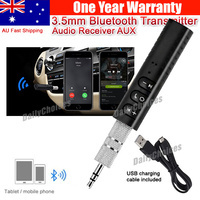 Wireless Bluetooth V2.1 Handsfree Music Car Kit. Magnetic Base with 3M Sticker, can easily stick it on the car dashboard. Universally suitable for all types of vehicles DC 12V-24V. Bluetooth hands-free call answering / end / redial functions. Supports next / previous song, volume up / down, stop functions. Supports Bluetooth/Audio cable connection, switch seamlessly between incoming calls and music mode. USB charger, supports Max output of 5V / 2.1A for charging device.